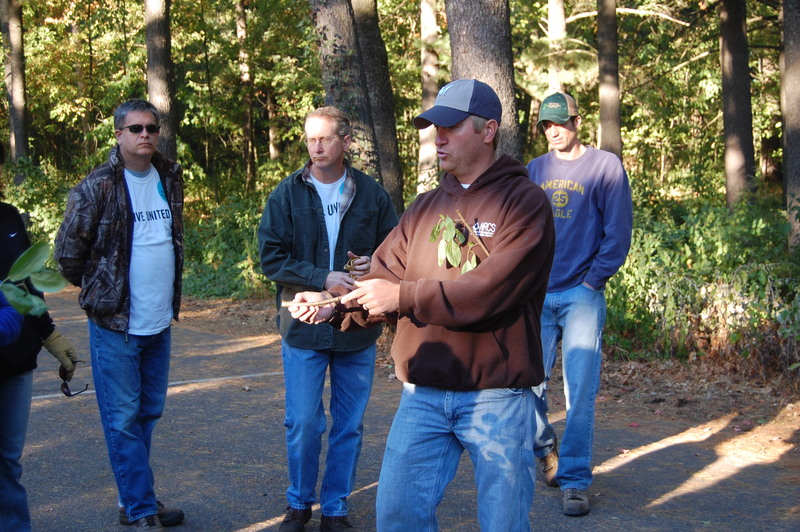 LCIP Annual meeting – March 28th 2 – 4 PM at Dunn County Fish & Game Clubhouse, 1600 Pine Ave, Menomonie, WI PUBLIC WELCOME!!! June 16th, 2016 – Invasive Species Tour. 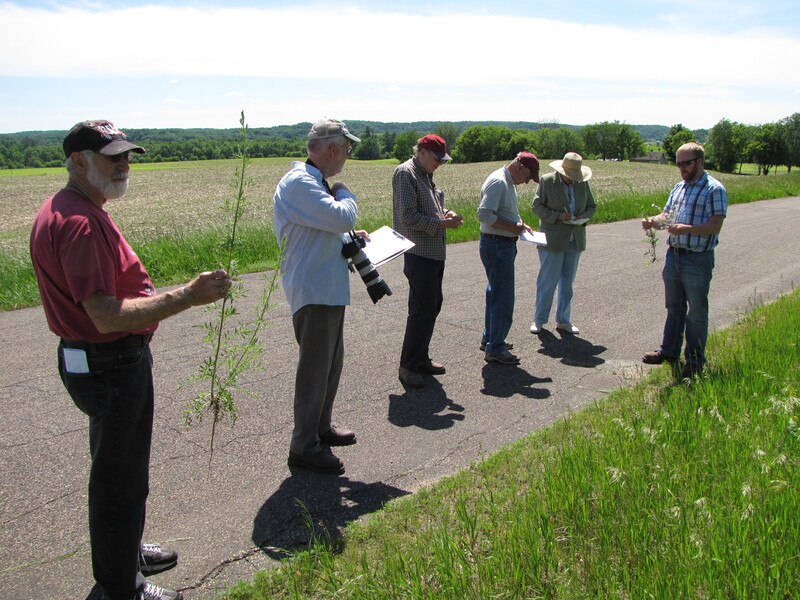 We looked at 20 invasive plants in 30 miles on a bus going around Menomonie. August 8th, 2014 at 9 AM, an all day event. 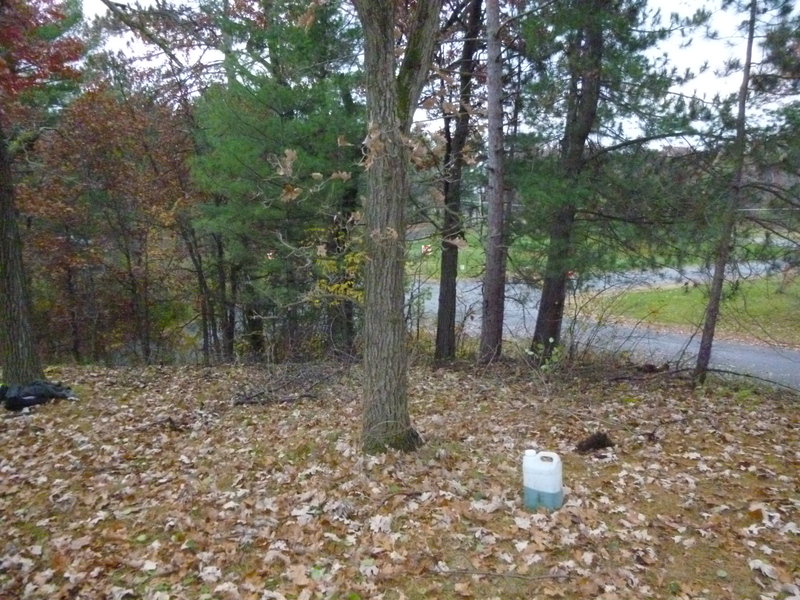 Meeting at W9202 County Road I Pepin WI. 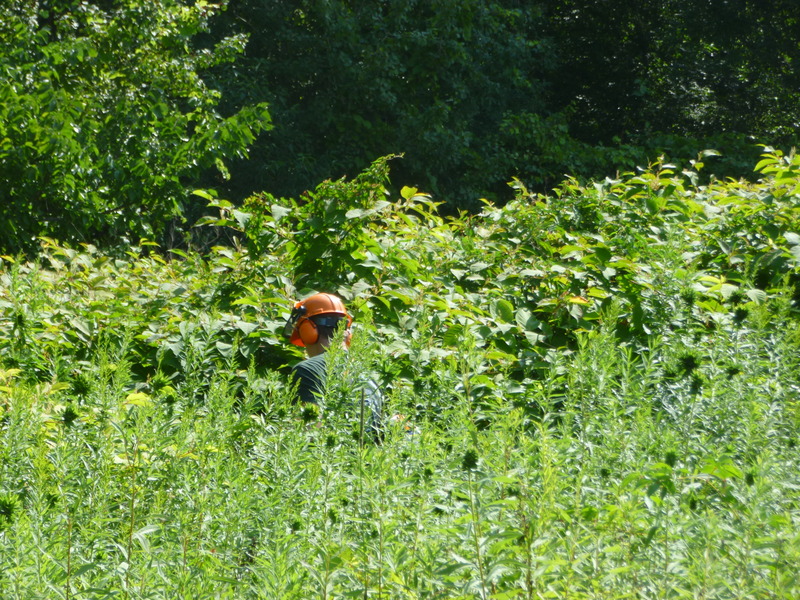 Japanese Knotweed education and eradiction day. Food, beverages, and work materials will be provided. 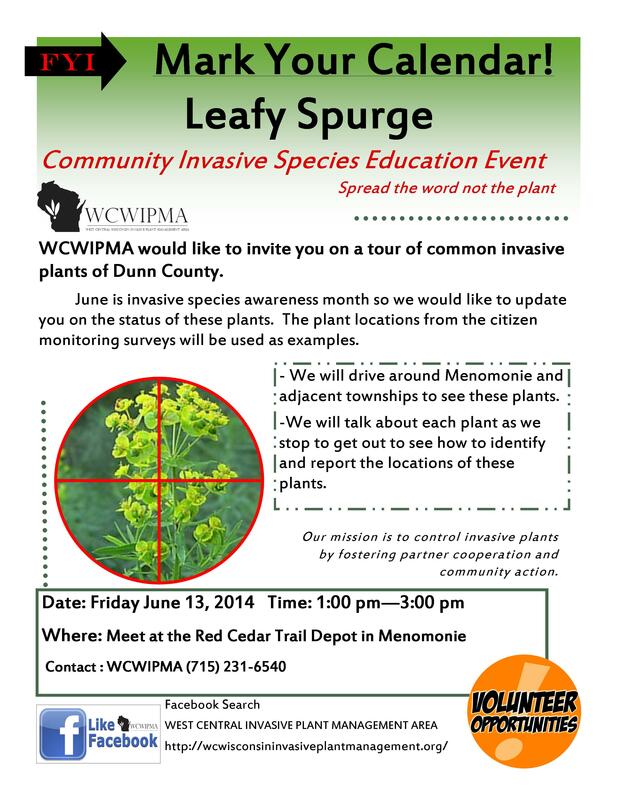 June 13th, 2014 Community Invasive Species Education Event Tour meet at 1 pm at the Red Cedar Trail Depot in Menomonie. 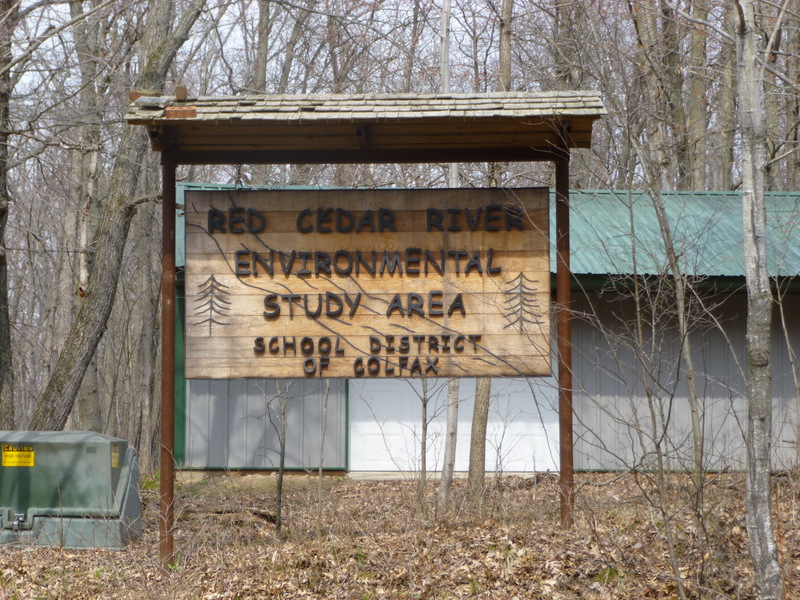 May 16th, 2014 Education/Eradication Event at 1 PM at Birch Creek State Natural Area, Menomonie, WI. See Flyer! 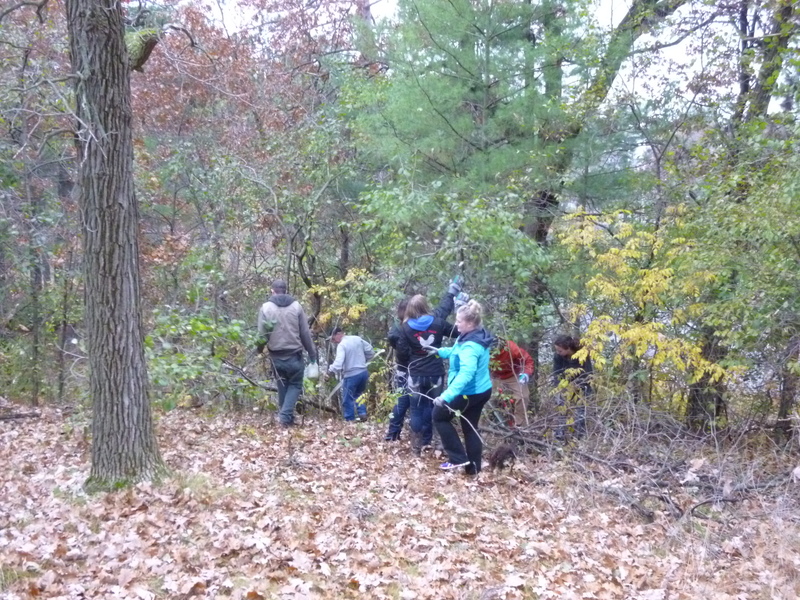 WDNR Hoffman Hills Buckthorn Education and Work Event November 9th, 9:00 AM. Contact Calvin Kunkle, WDNR Assistant Property Manager/Ranger at 715-232-1242 or calvin.kunkle@wisconsin.gov if you are planning on attending for more details. WCWIPMA will be providing equipment for the event. 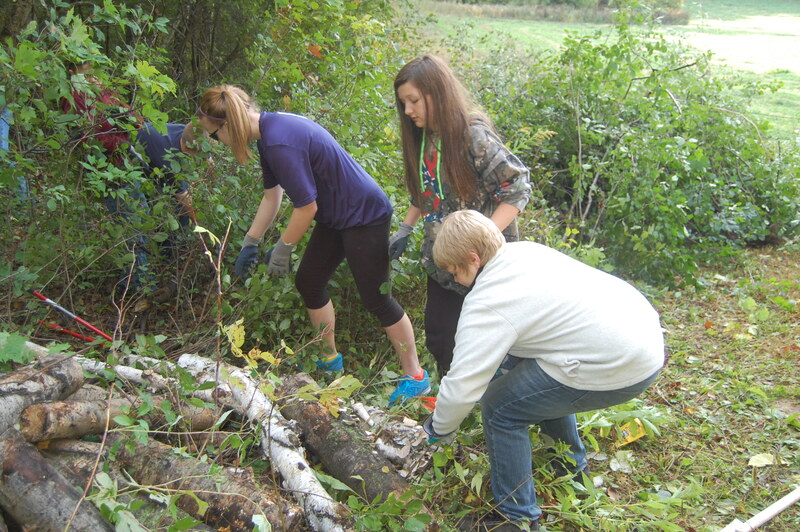 October 16, 2013 9:00 AM – 12:00 PM and 2:30-5:00 PM Buckthorn Education/Work Event with Menomonie Middle School and UW-Stout Students in Menomonie, WI. October 23, 2014. 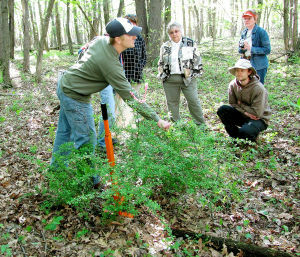 Yesterday, a group of UW-River Falls students, community members from across the area came to the Dunn County Fish and Game Association property in Menomonie to learn about and work on buckthorn. 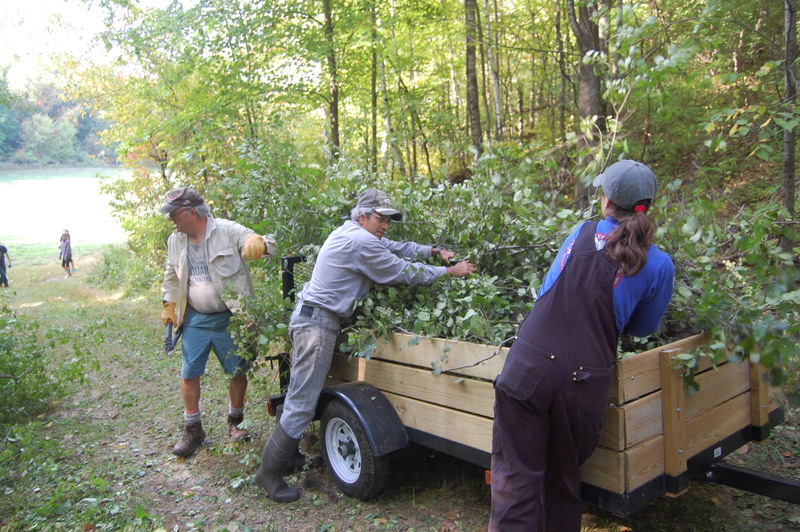 We had all kinds of hand tools and a chainsaw cutting, pulling, lopping, etc for almost 3 hours. All in all we removed about 2-3 compressed dump trucks loads in a few hours. 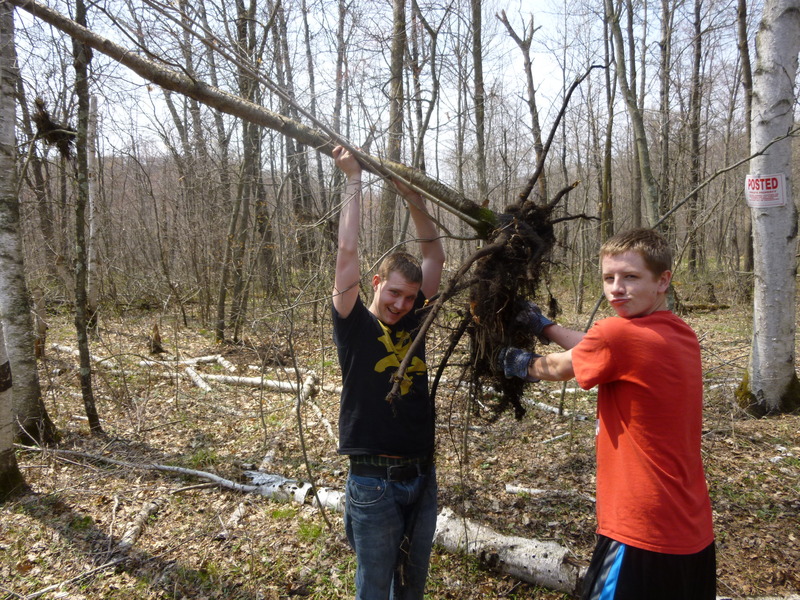 59 hours of volunteer hours were accumulated. 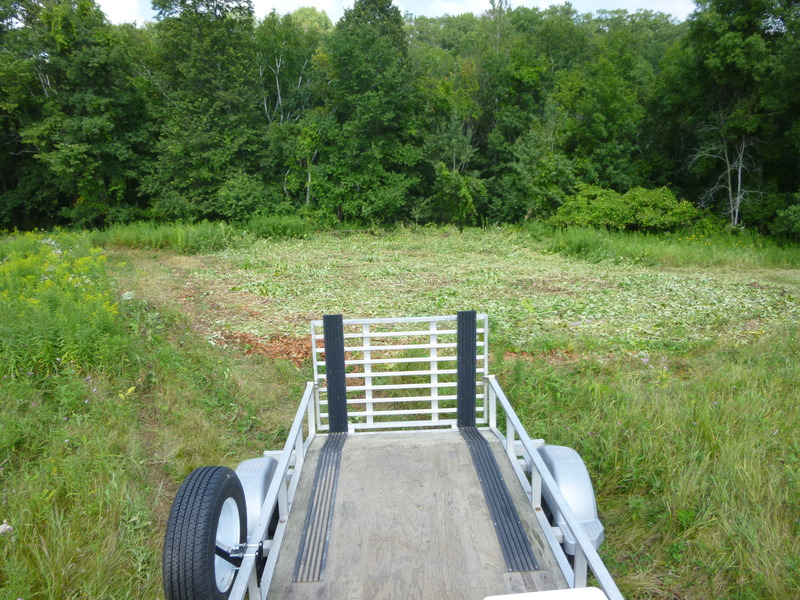 Thanks also to 4-Control, Inc., Dunn Land Conservation Division and Ted Ludwig of Red Cedar Basin Monitoring Group for helping make this project happen! 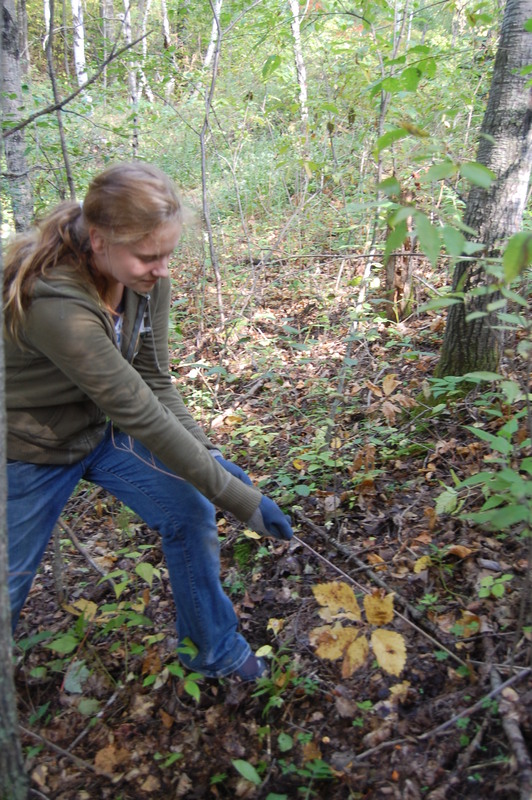 UW River Falls students work hard! 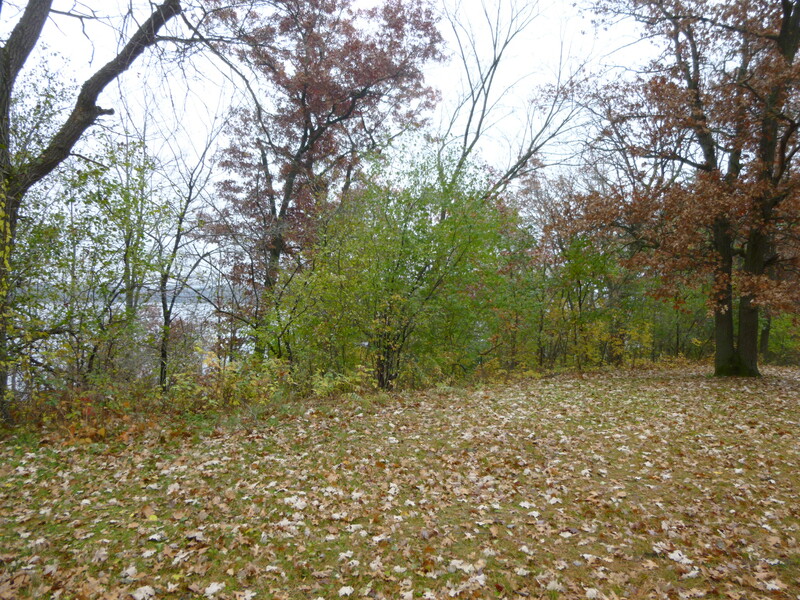 After removal….I view of Lake Menomin emerges again! September 25th, 2014. 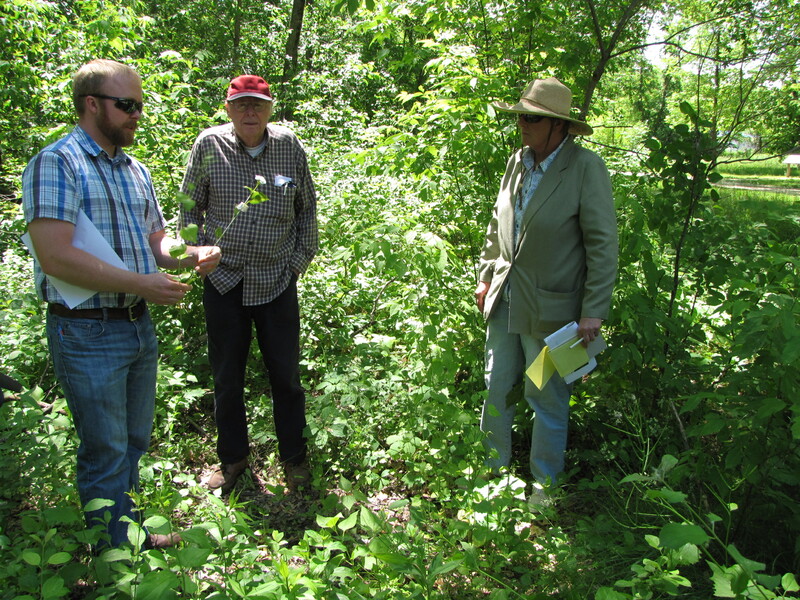 WCWIPMA hosted an event just South of Menomonie on a private property on Common Buckthorn education and action. 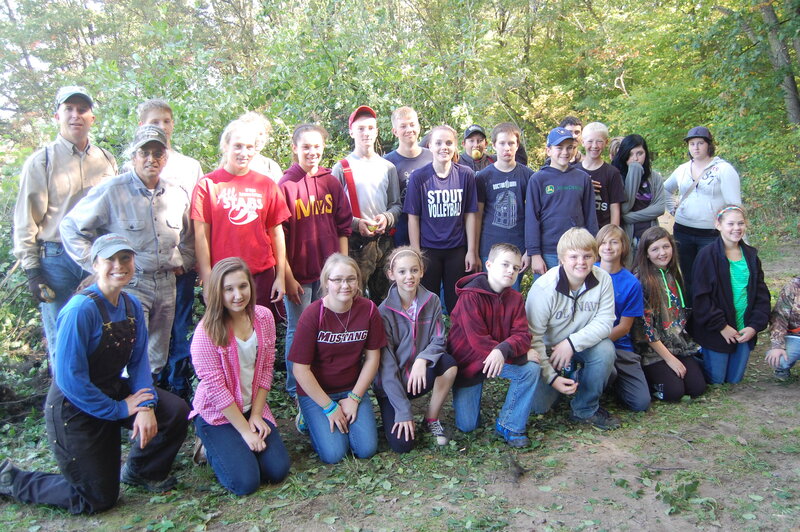 24 highly energetic Menomonie Middle School students with 9 adult participants from all over West Central Wisconsin attended to put in over 85 hours of volunteering. 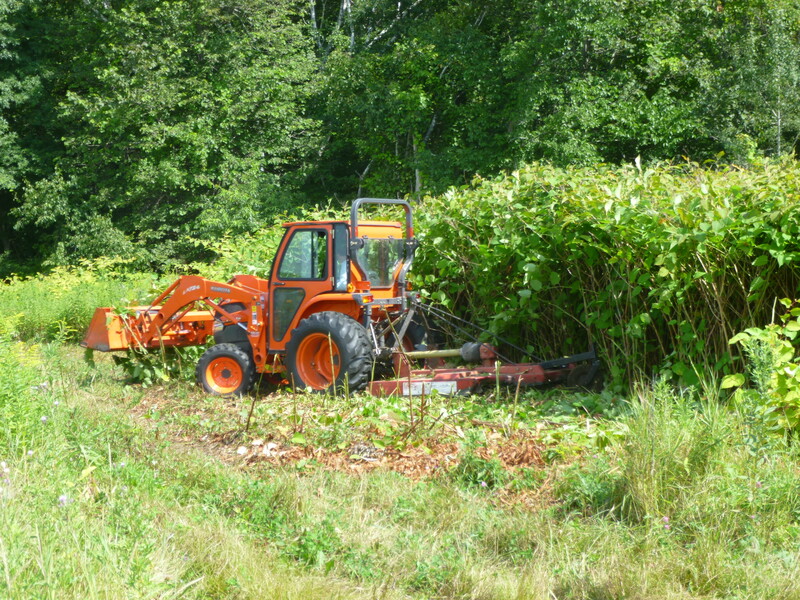 Overall, we cut and treated or pulled close to one acre of Common Buckthorn. 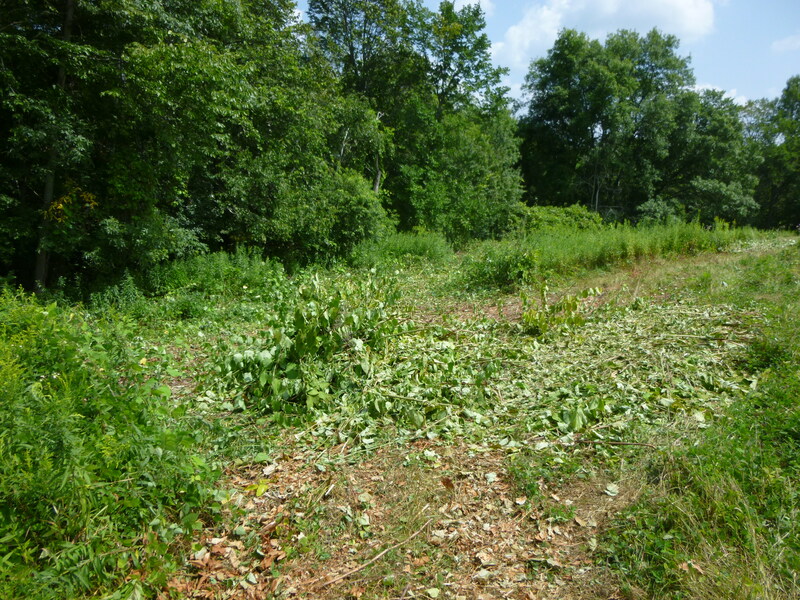 The next step will to use our WDNR grant funding to have a professional herbicide applicator apply Garlon 4 basal bark treatment herbicide in a few weeks. Thanks to all that attended and helped us out! We truly thank the community effort. 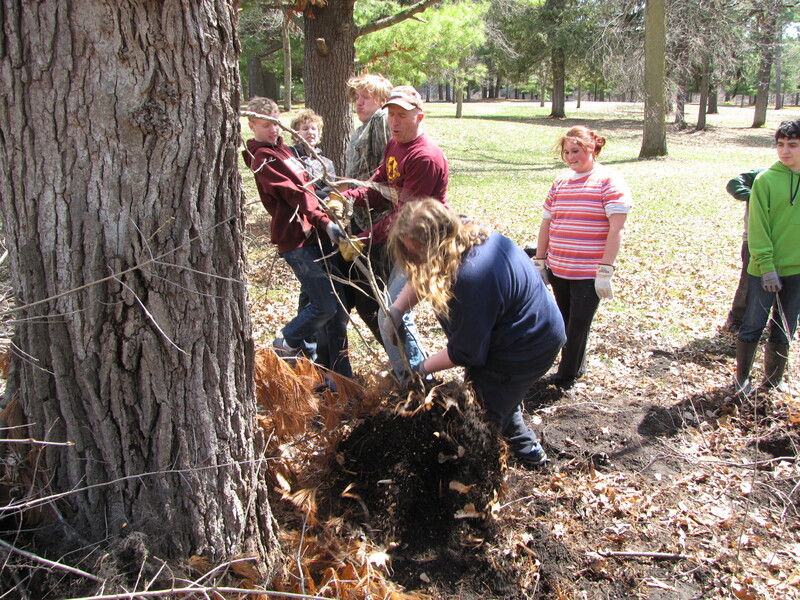 The hard working Menomonie Middle Schoolers! August 8th, 2014. 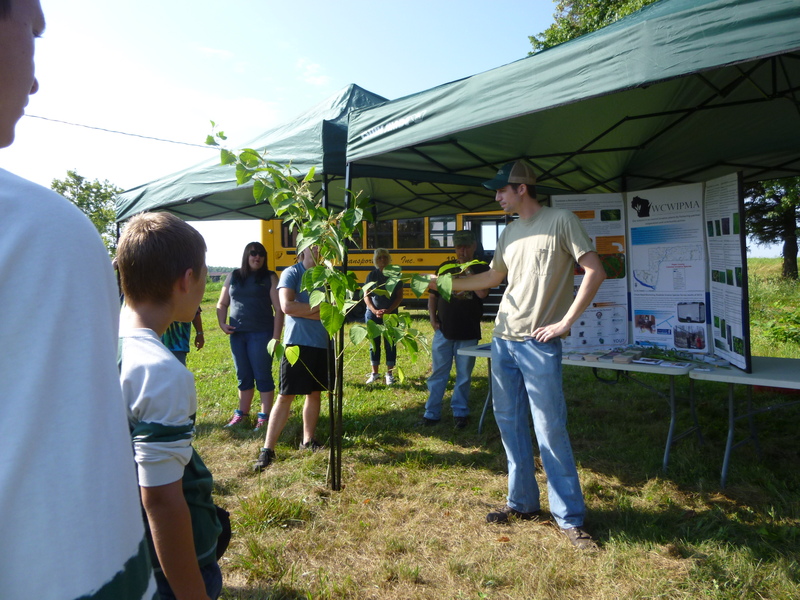 WCWIPMA hosted an event in rural Pepin County on Japanese Knotweed education and action. 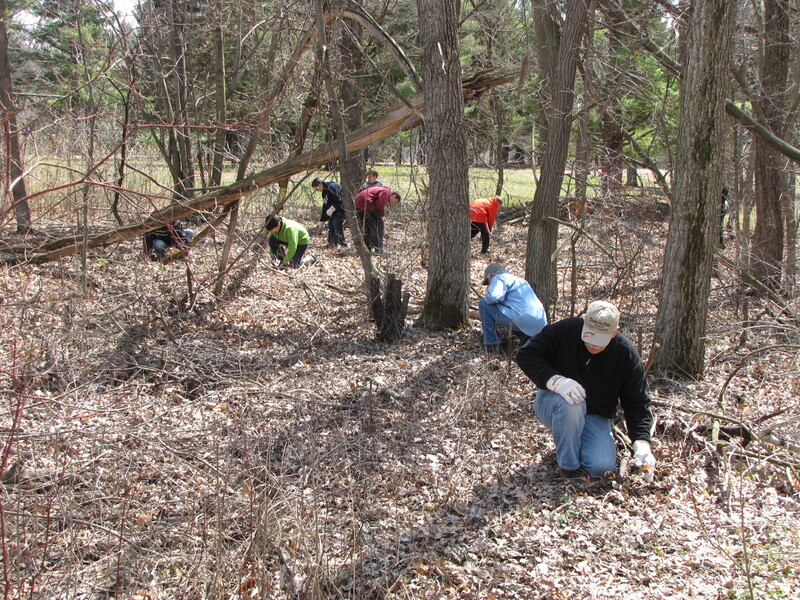 33 Participants from all over West Central Wisconsin attended to put in over 150 hours of volunteering in. 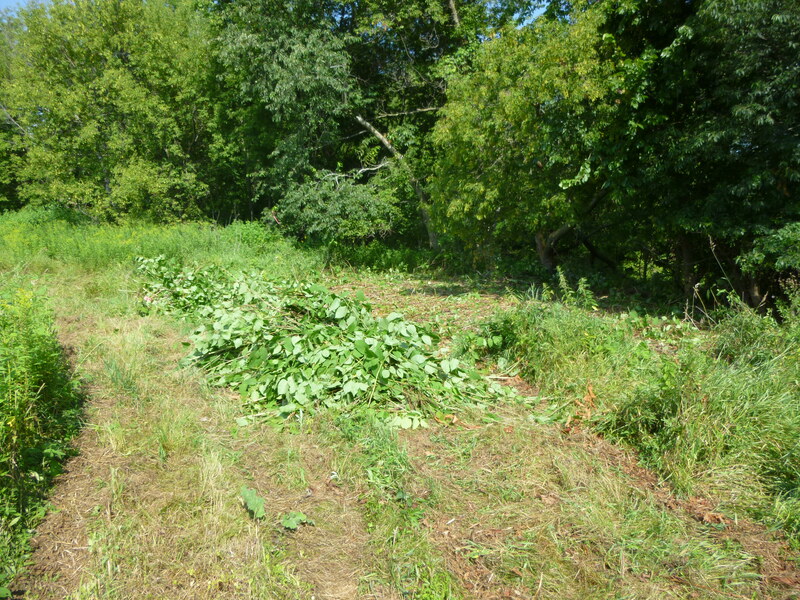 Overall we cut or mowed down Japanese Knotweed at four different landowner properties to total over 5 acres. 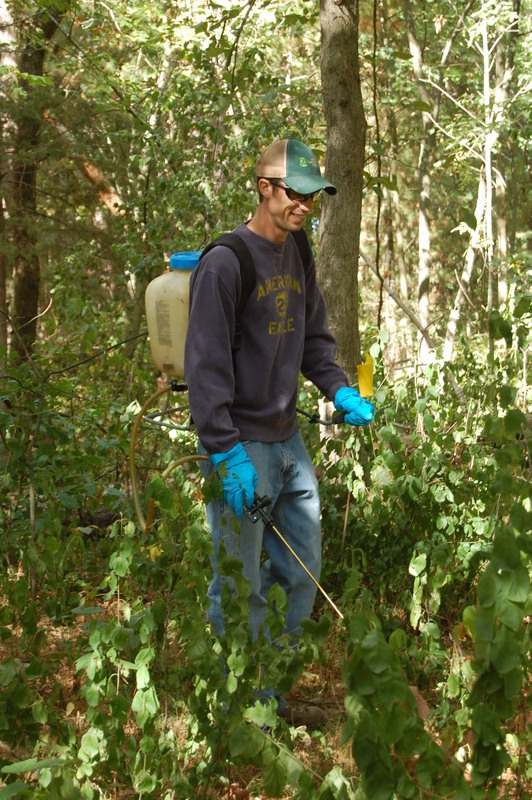 The next step will to use our WDNR grant funding to have a professional herbicide applicator apply either Milestone or Arsenal herbicide after the plant grows to 3 feet, or in a few weeks. Thanks to all that attended and helped us out! We truly appreciate the community effort we did. June 13th, 2014. 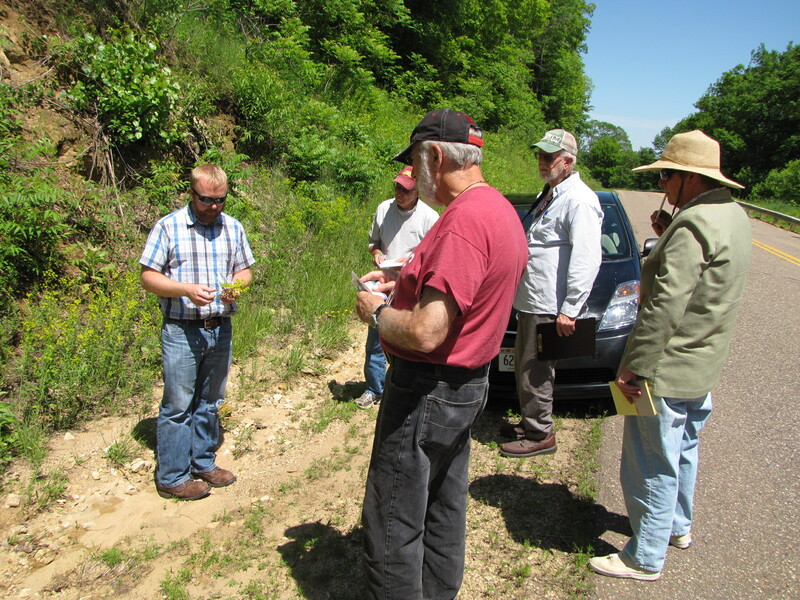 WCWIPMA held an education tour on invasive plants that invade roadsides of Dunn County. We had attendees from throughout our region attend. 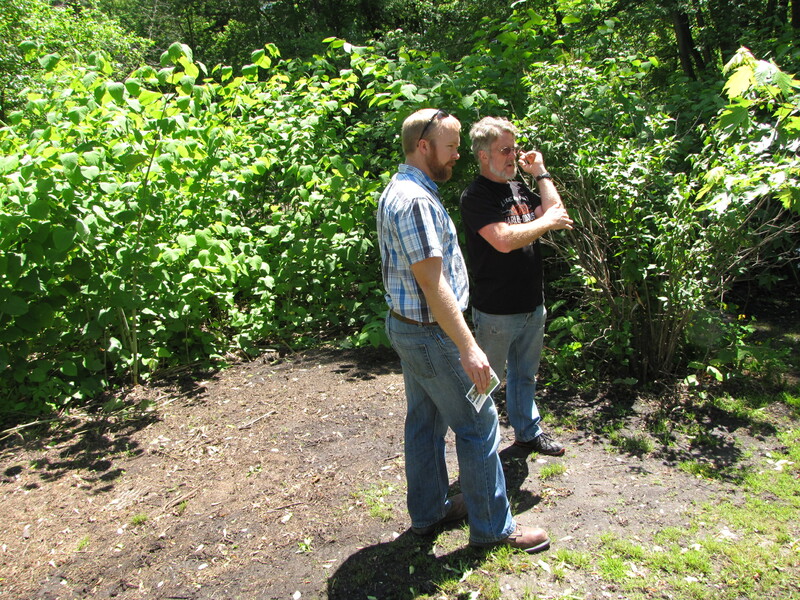 We visited 7 invasive species sites found by Dunn County Master Gardeners in 2013. 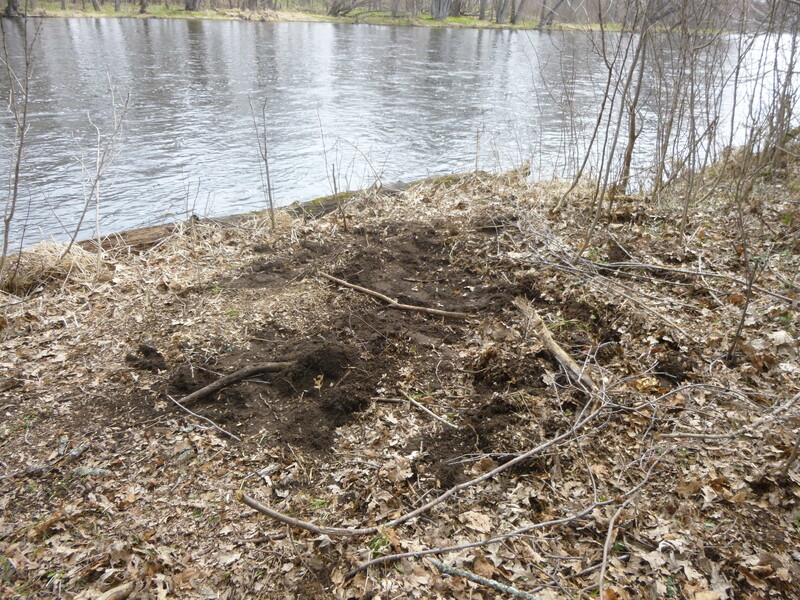 These locations were found during our roadside surveys by volunteers. 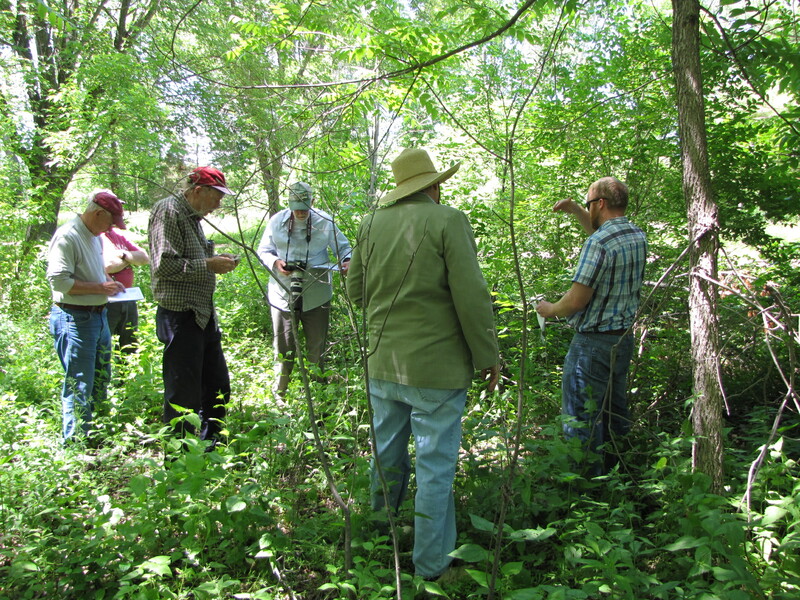 We are planning another tour next year to showcase more of the 21 different invasive plants found in the area. May 7th, 2014. 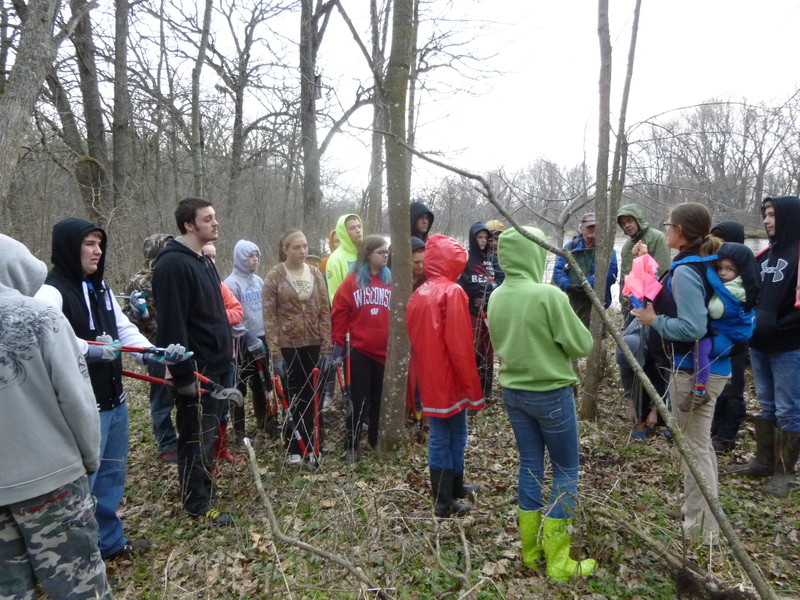 WCWIPMA worked with some Colfax Biology Class students at their Red Cedar River Environmental Study site, just north of Colfax. 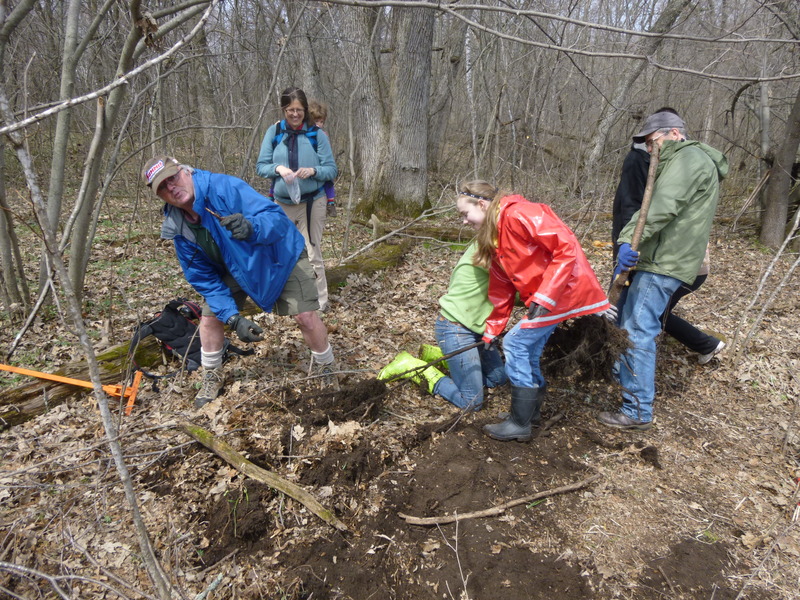 Our group provided education and demonstration on buckthorn before the students and teacher worked diligently for many hours hand pulling the buckthorn. 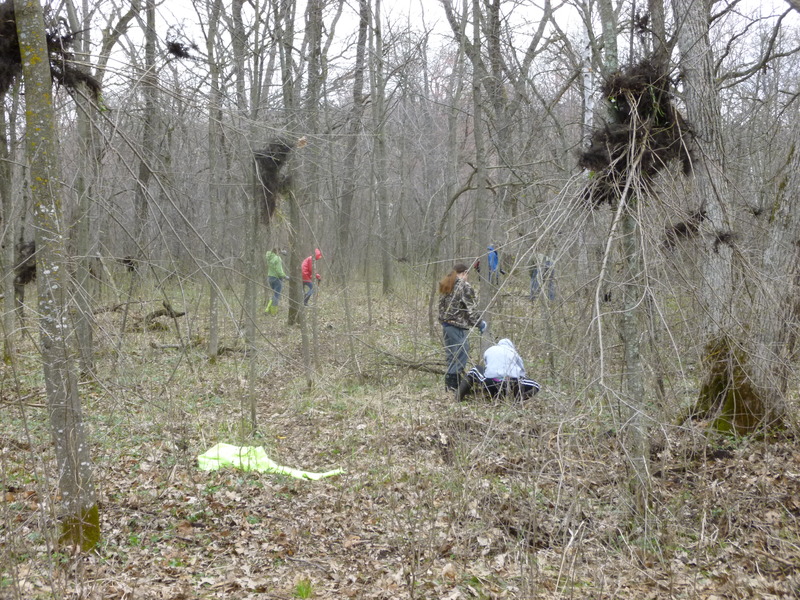 We had a lot of fun and made a large dent in the buckthorn population on their property. 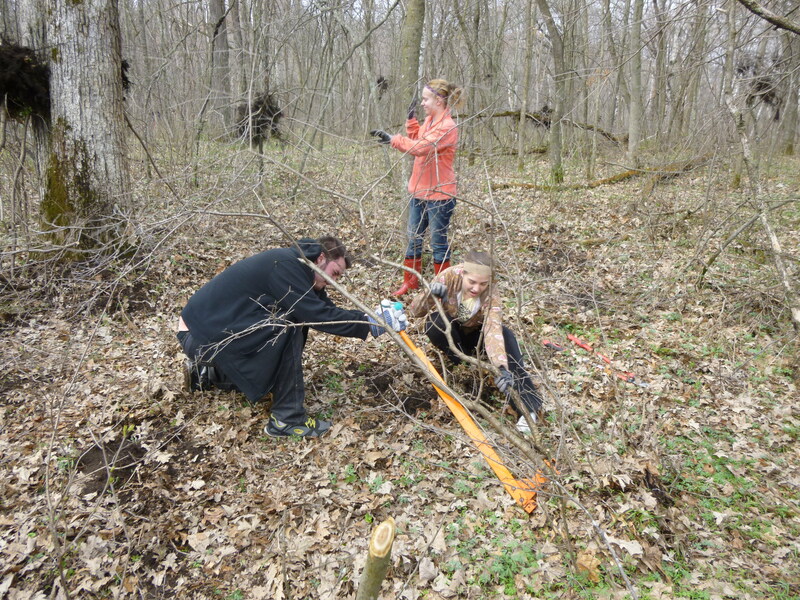 3″ Buckthorn stood no chance to the students! April 25th, 2014. 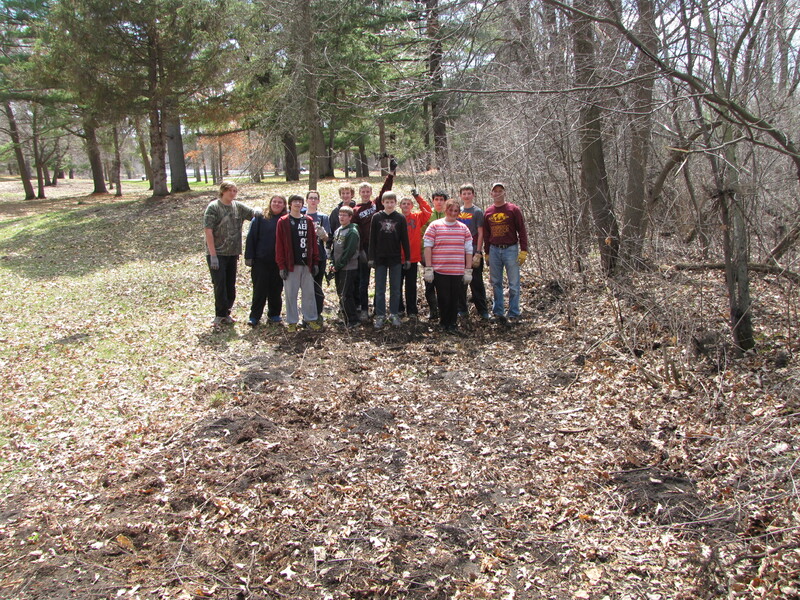 WCWIPMA participated in an Earth Day event with Menomonie Middle School and Wisconsin Department of Natural Resources. 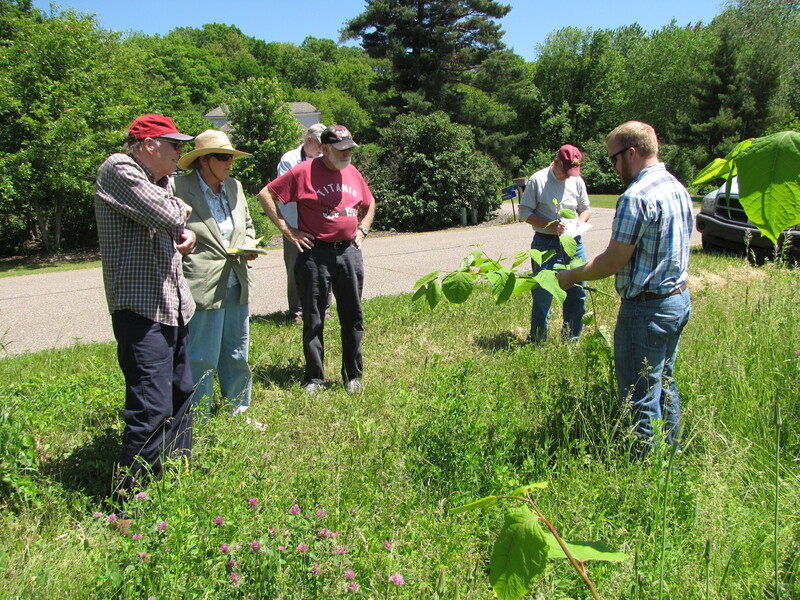 Our group provided education and demonstration on the invasives located on the Red Cedar Trail in Menomonie near the Depot on HWY 29, just west of Menomonie. 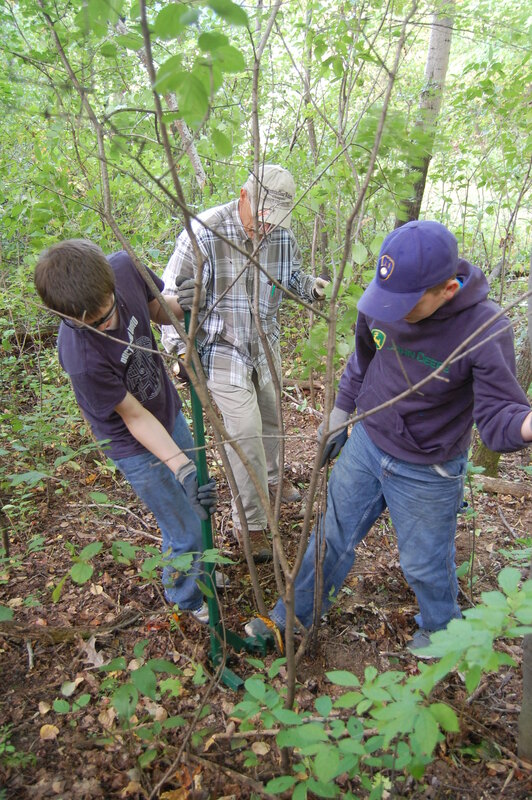 We worked with Paul Verdon’s class to eradicate buckthorn, bush honeysuckles and garlic mustard. The kids and adults had a blast. 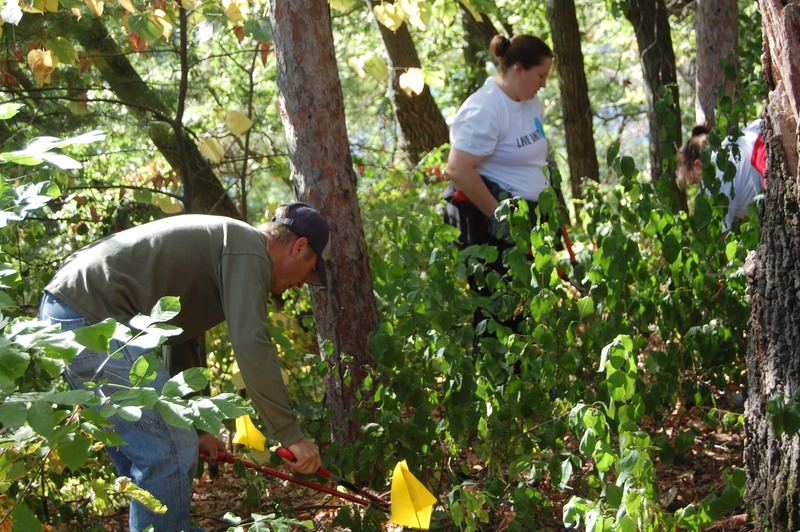 Here are some pictures to prove that invasive species removal can be fun! September 13th, 2013. 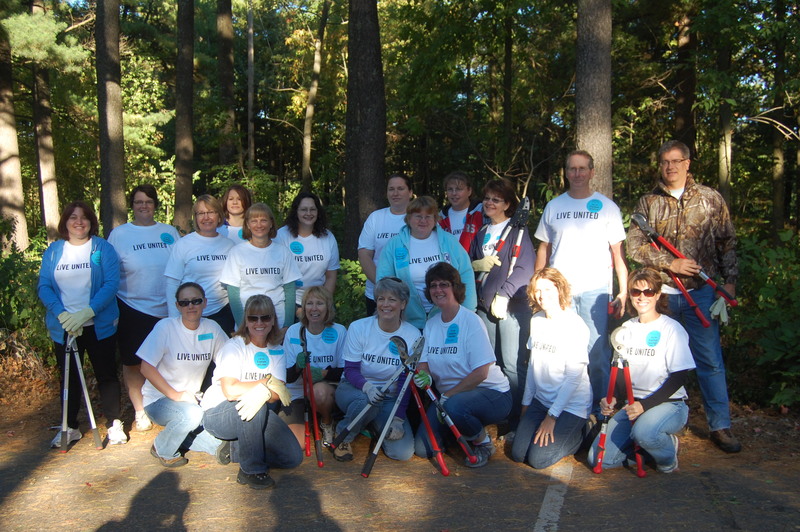 WCWIPMA held an educational/volunteer event at Carson Park in Eau Claire, WI. 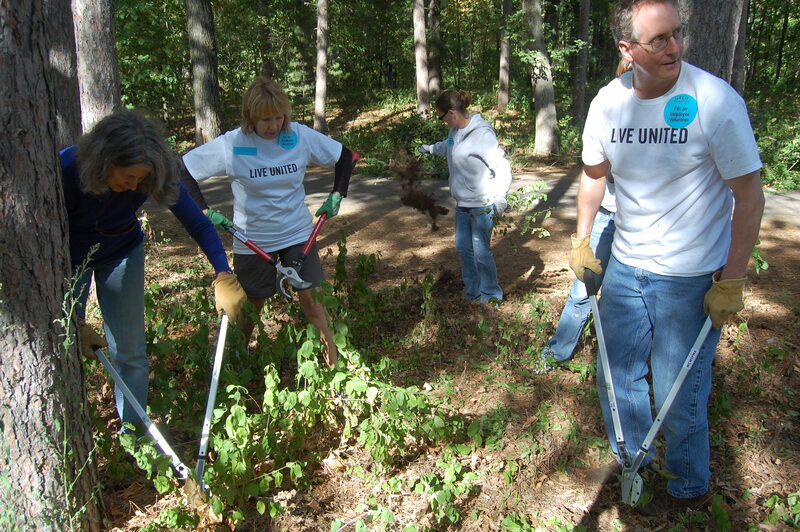 This event was part of the “DAY OF CARING” that was organized by United Way. 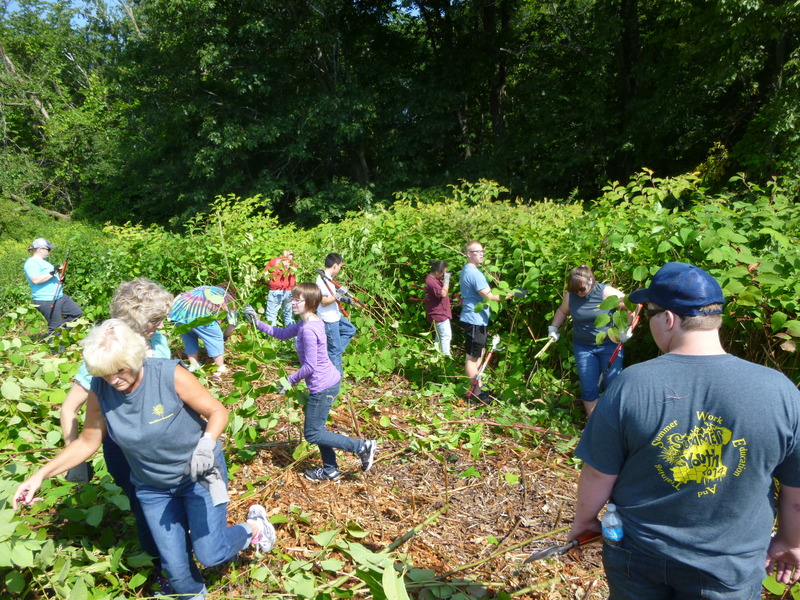 There were 590 volunteers working throughout the city. 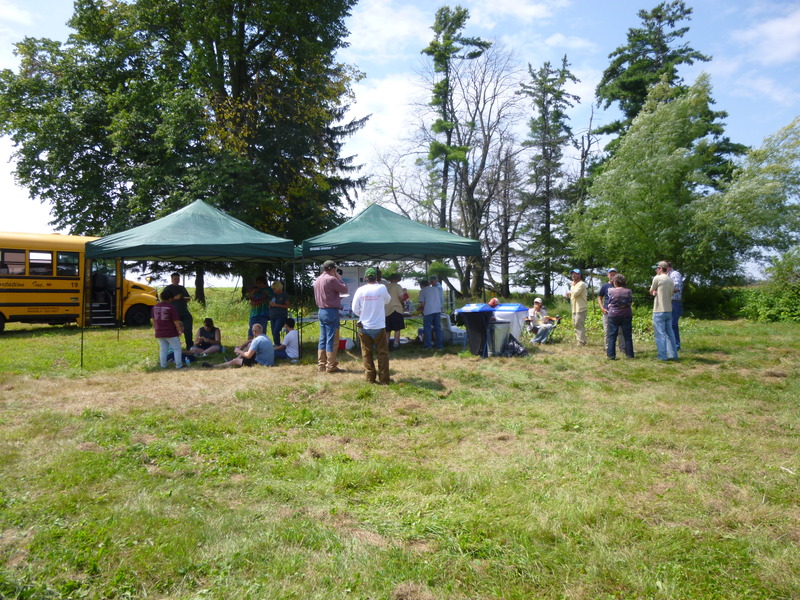 We had 27 people attend our event. 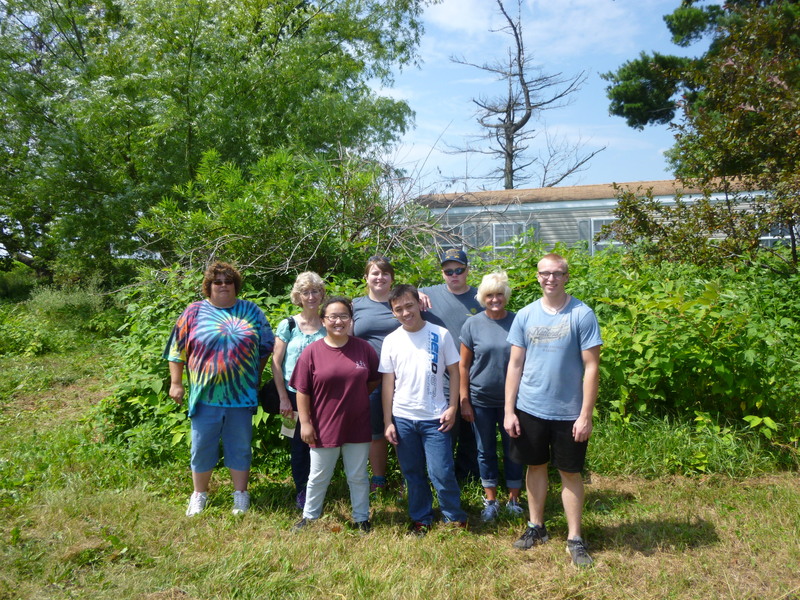 We talked about WCWIPMA in how it is growing throughout the community. Then we discussed the history, personal accounts, eradication methods, and future outlooks. 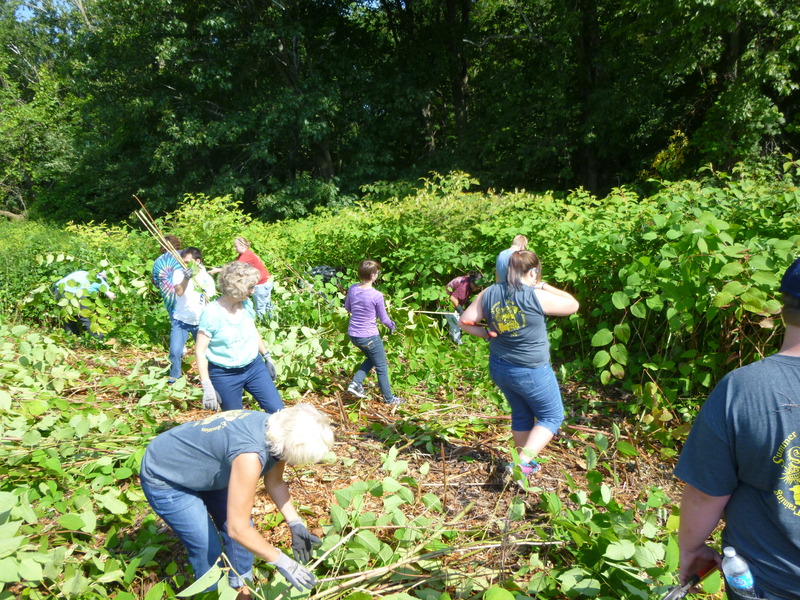 We gave a quick instruction on how to use our equipment then sent the volunteers out into the park to cut and stack the plants. The City of Eau Claire then showed up to perform the chemical application of Garlon 4 the cut stumps. 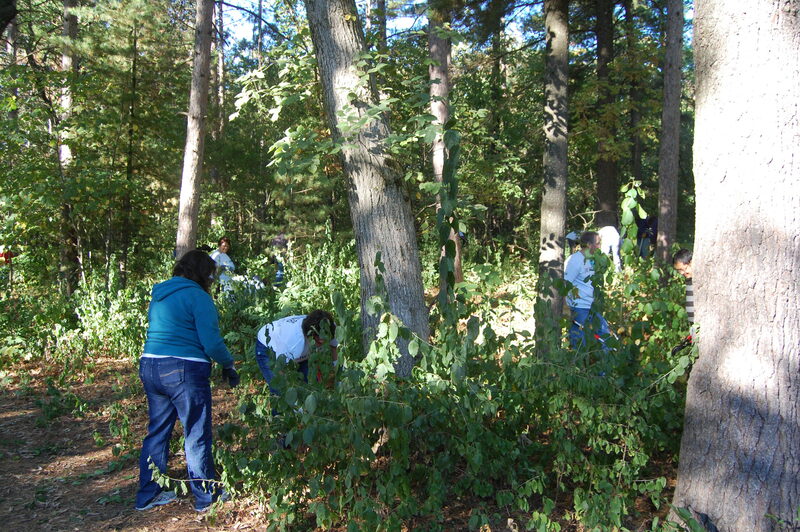 The group worked from 9:00-Noon tirelessly. Thank you Roberta Kostka, Eau Claire Volunteer Coordinator for your help in organizing this event with us. We will be back next year. Thank you volunteers that made this event fun and successful. Check out the pictures of the event below. July 16th, 2013. 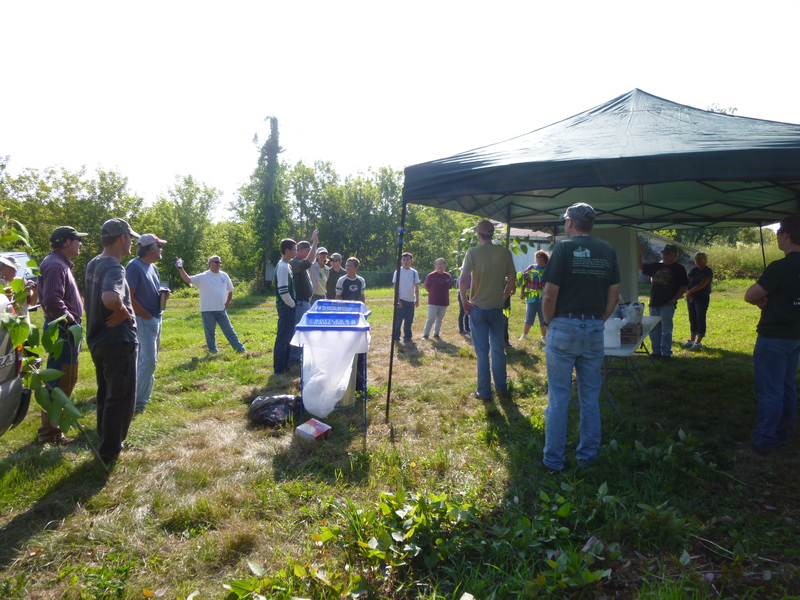 WCWIPMA held an educational/work event at Fairfax Park in Eau Claire, WI. 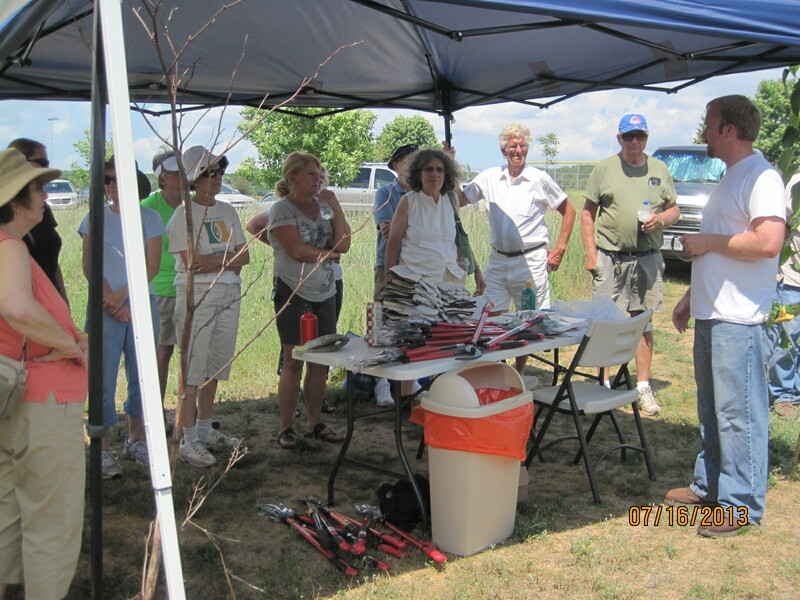 We had 28 people attend the event in +90 F heat. 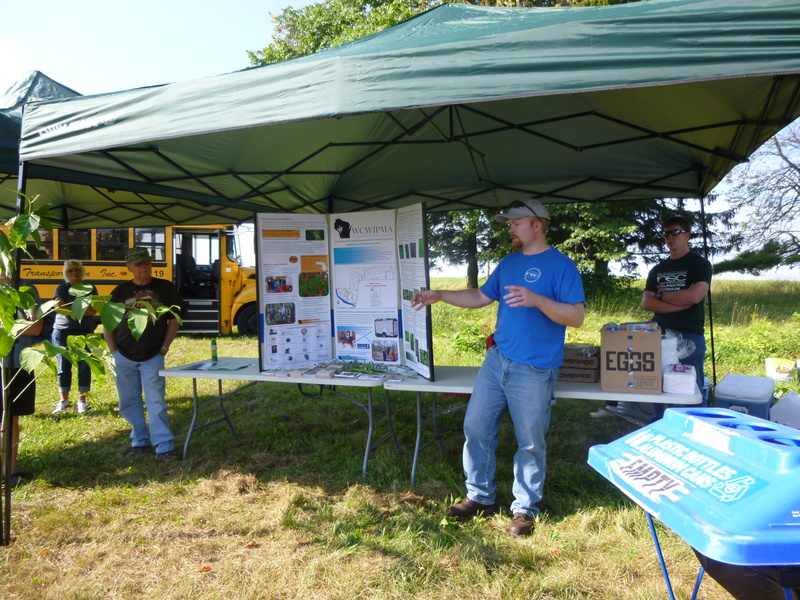 The presentations were on Japanese Knotweed on how it came the USA, spread, current locations, control methods and success/failure stories. 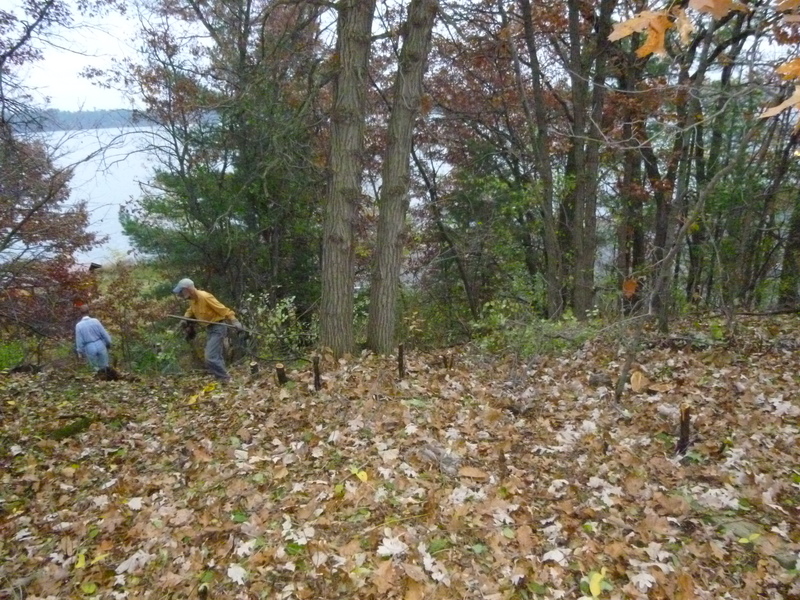 The talk ended and then the crew of volunteers worked on cutting down, hauling, and stacking the plant. 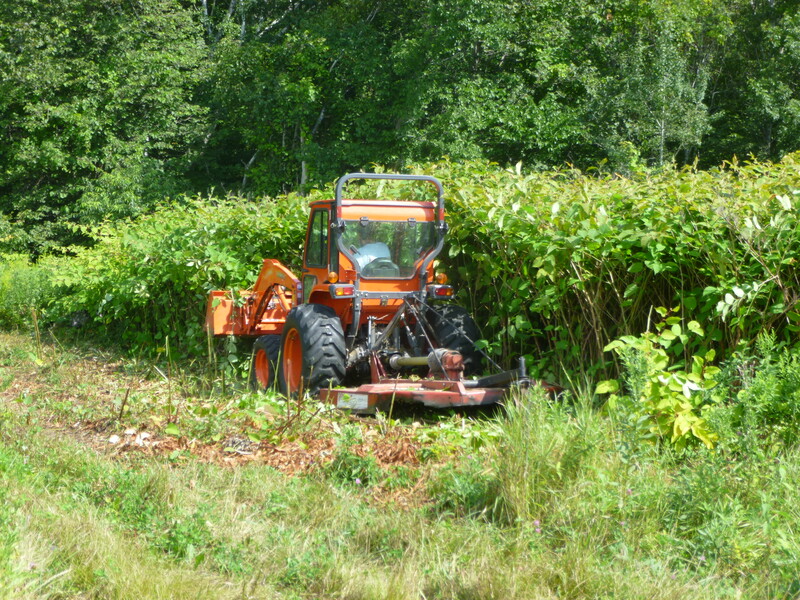 After 3 hours of work the group ended cutting enough Japanese Knotweed to fill a large dump truck. 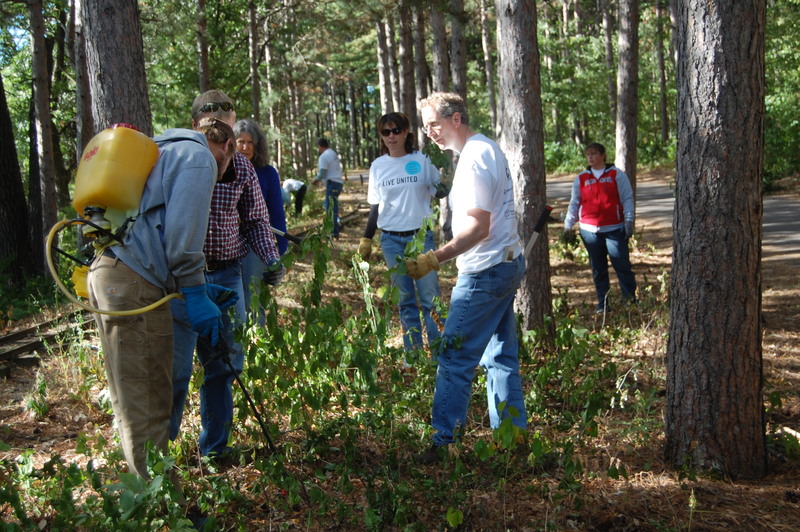 The City of Eau Claire Parks will come in the early fall to spray the regrowth to get an effective control on the plant. 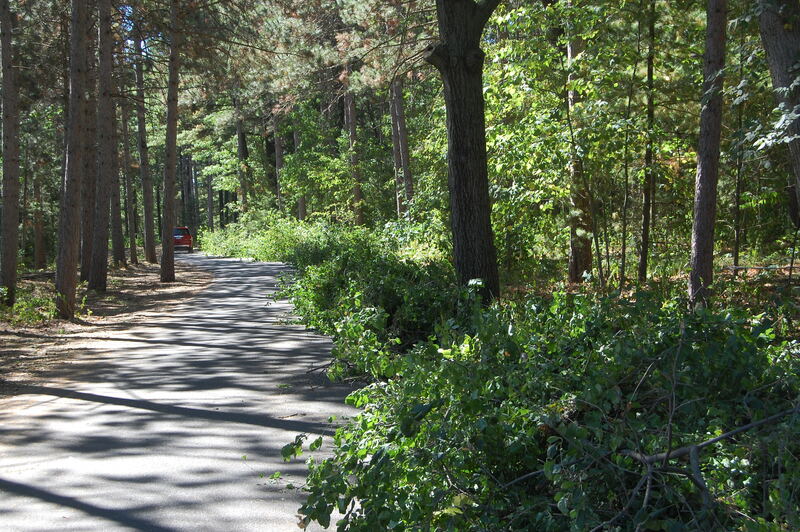 We only cut around a 1/3 of what exists in the park. We will be back again soon to work on the site. Thank you for all the volunteers that helped us make the event a success! 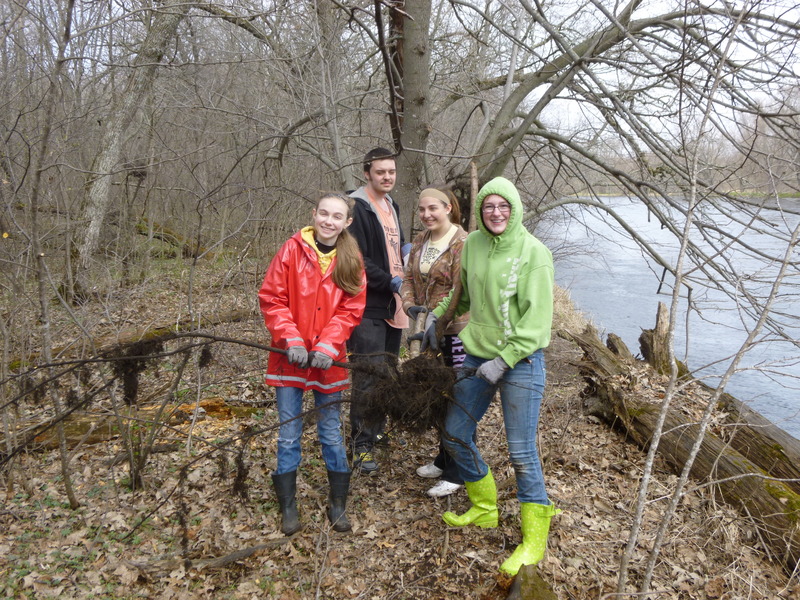 May 23rd, 2013 Neighboorhood Invasive Eradication Demo at Birch Creek State Natural Area in Menomonie, WI. 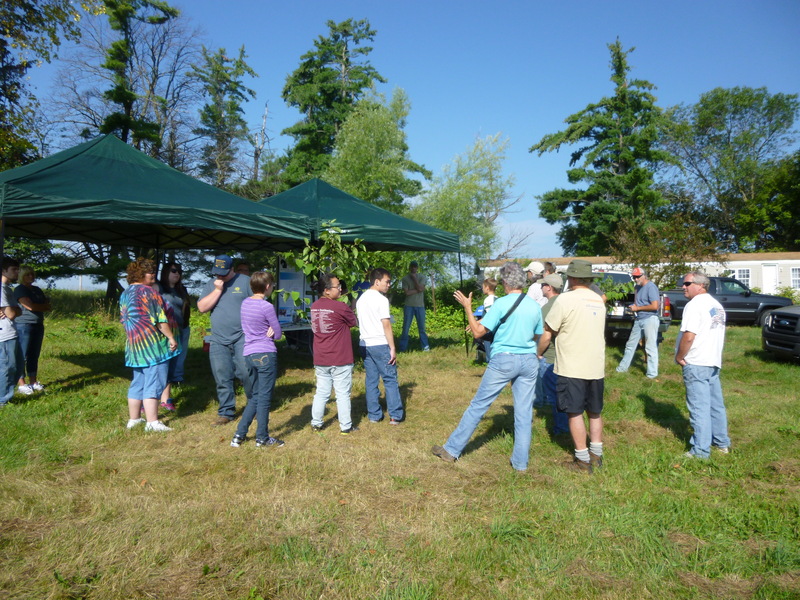 Over 20 people attended the event that included education on what invasives are, demos on how to identify Japanese Barberry, Garlic Mustard and Bush Honeysuckles, then an hour and a half of hand pulling garlic mustard. 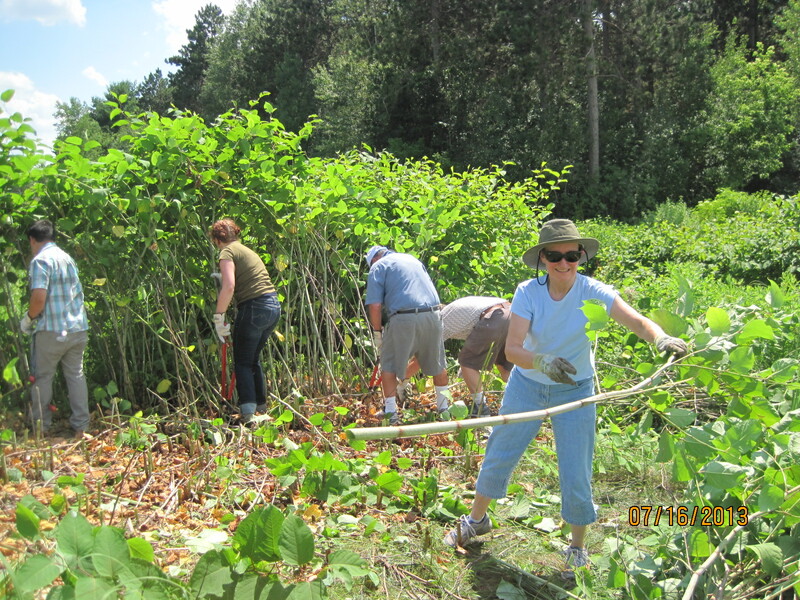 We look forward to our next volunteer event in Eau Claire on July 16th on Japanese Knotweed in Fairfax Park.